Free Specialized Tutoring Program Available - CCNY Inc.
Do you know any students struggling with mental health issues and in need of specialized tutoring? 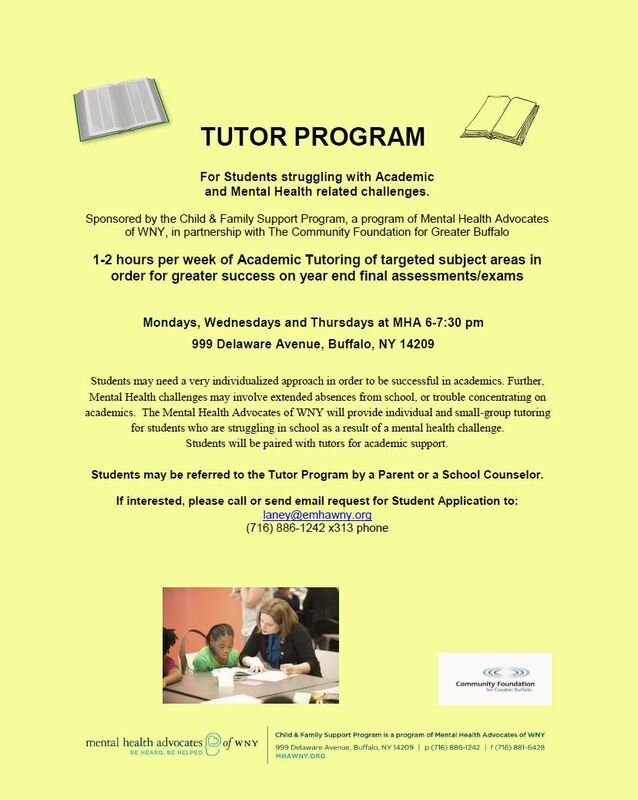 Mental Health Association of Erie County are offering 1-2 hours of weekly tutoring (available Mondays, Wednesdays, and Thursdays from 6 to 7:30 PM) at their downtown office. Read the brochure below for more details.